Part of the answer is “rock bolting.” According to dictionary.com, the term “rock bolt” was first recorded between 1955 and 1960 and is the “steel or fiberglass bolt inserted and anchored in a hole drilled in rock to prevent caving of the roof of a tunnel or subterranean chamber.” The use of rock bolts goes back much further than 1955, however. The use of rockbolts was documented at the end of the 1800s, and in the 1900s, it was introduced in coal mines. And, in November 1930, the Detroit-Windsor Tunnel was dedicated. It is a 5,160-foot-long tunnel between the cities of Detroit, Michigan, and the Canadian city of Windsor, Ontario. The first passenger car to drive through it was a 1929 Studebaker. The first Michigan-to-Canada tunnel opened in 1891 – the 6,000-foot-long Grand Trunk Railway Tunnel. During the first 9 weeks the Detroit-Windsor Tunnel was open nearly 200,000 cars passed through it. Today, around 9 million vehicles use it each year! On December 1st, 1990 workers – 132 feet below the English Channel – drilled a car-sized opening through a wall of rock! The “Chunnel” (Channel Tunnel) connects Great Britain with the European mainland. It took nearly 13,000 workers four years to dig 95 miles of tunnel. The average depth of which is 150 feet below sea level. The cost? $15 billion…. As one might expect, the process of rockbolting is complicated and there are different types of rock bolts for different situations. The reinforcement function of a rockbolt depends on the load carried on the bearing plate. 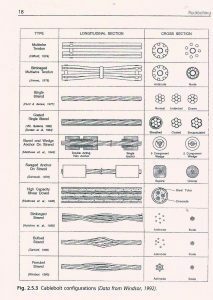 That loading pattern is dependent on rock mass quality, rock joint pattern, rock stresses, and the anchoring mechanisms of the bolt. Rockbolts are generally made of steel and their design is based on how they are used. Some typical rockbolts include the mechanical rockbolt, slot-and-wedge rockbolt, and a grouted rockbolt. There is even an inflatable rockbolt! For more information on these, and many more, refer to the chart (left) and our resource Rockbolting: Principles and Applications. Rockbolts do fail – especially during dynamic load shifts, often after a rockburst (a sudden, violent, rock fracture). For a quick look at a rockburst check out this video! Needless to say, there is a lot of quality control and testing which must happen with rockbolts. The quality and composition of the steel used in rockbolts is obviously critically important. 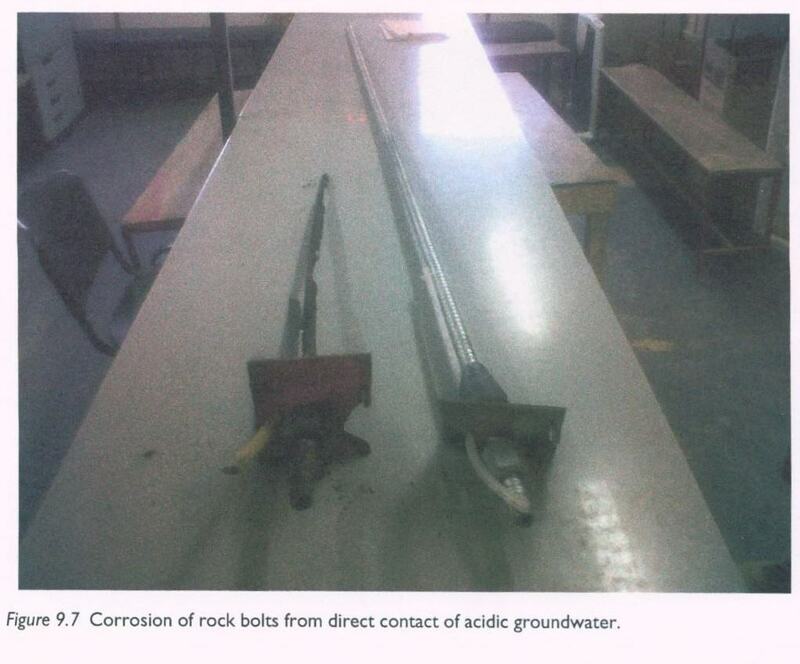 There are also design proof tests, and viscosity tests of the cementitious grout. Along with the quality control on the mechanical properties of the rockbolt, there are many tests that are done on-site. These include pull tests, proof tests, and the inspection of boreholes. 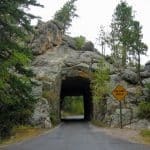 If you are thinking of building a rock tunnel, there is, not surprisingly, lots of pre-planning, site investigations and testing that must be done before the actual building can begin. Practical Guide to Rock Tunneling is just that, a guide explaining the planning process and what needs to be taken care of – including the design, drainage requirements, rock strength, and practical considerations (among many others!). It is full of photos – many in color – of the various stages of tunneling and the equipment used. There are also a number of tables and graphs detailing everything from historical failures of hydraulic pressure tunnels (figure 6.3) to a critical path construction schedule example (figure 14.1) to a risk matrix for quantitative assessment (16.3). Links between rockbolts, mesh, mesh strap, and mesh square. Rockbolting: Principles and Applications. Whether you are planning a career in tunnel building – or thinking ahead to tunneling out of a snow fort this winter – be sure to check our resources. We’ll help you dig through . . .
International Symposium on rock Fragmentation by Blasting. A.T. Spathis. 2013. Tunnelling in rock by drilling and blasting : workshop hosted by Fragblast 10 : the 10th International Symposium on Rock Fragmentation by Blasting, New Delhi, India, 24-25 November, 2012. Boca Raton : CRC Press. Engineering Library TA800 .I58 2012. 1930, Detroit-Windsor Tunnel is Dedicated. This Day in History. November 1. History. A&E Networks. Kaiser, Peter, K.; Ming Cai. 2015. Design of rock support system under rockburst condition. 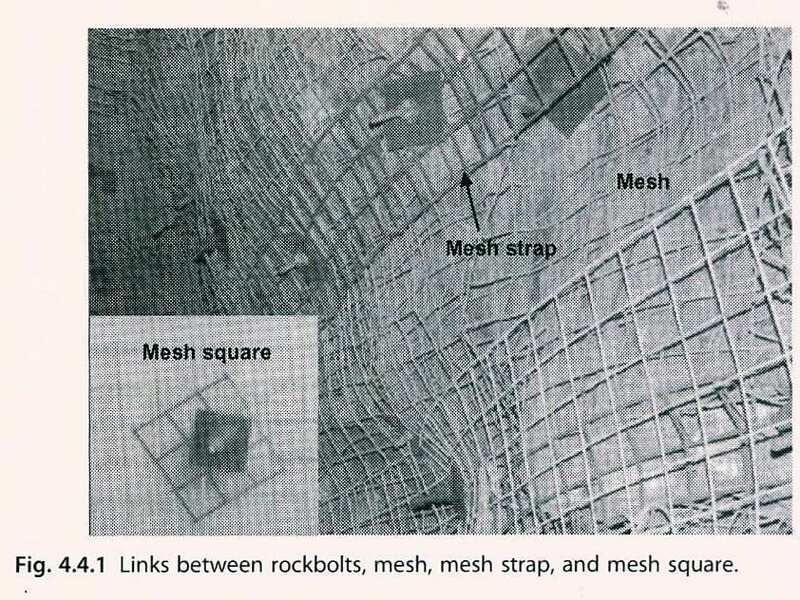 Journal of Rock Mechanics and Geotechnical Engineering. vol. 4, issue3, 25 Sept. 2012, pgs 215-227. Science Direct . Chunnel makes breakthrough. This Day in History, Dec 01. History. A&E Networks.